With the first original 3DS Zelda already out, Many are speculating that Link’s next adventure on the 3DS will be a remake of his second adventure on the N64. Since the release of Ocarina of Time 3D was released back in 2011, Many fans took the route of campaigning for Majora’s Mask 3D by taking the flight of Operation Moonfall. Operation Moonfall has been running strong and showing Aonuma that there’s the fans out there that want to see the remake become a reality. Ever since then, Aonuma has been asked about the remake and simply saying that it is definitely possible. As fans would remember, Aonuma originally said that a remake of Majora’s Mask will happen only after a original 3DS Zelda game has come out; Now with A Link Between Worlds is already out, Majora’s Mask 3D seems to now on the cards. Why does this seem like it is so? Well, Let me further explain why. 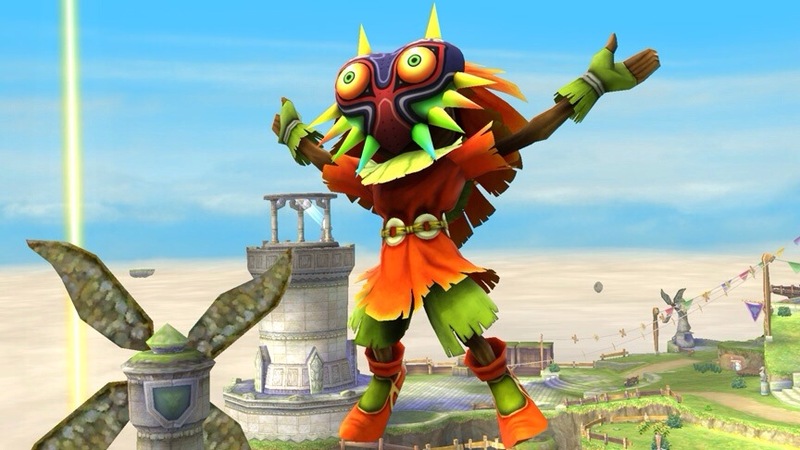 Before the launch of A Link Between Worlds, Aonuma was asked by IGN about Majora’s Mask. He reported to them to tell their readers that he laughed and said that the answer is in A Link Between Worlds. So when A Link Between Worlds was release, Aonuma’s answer was clear as water in the first few seconds of gameplay when you see Majora’s Mask itself in Link’s House. I know that most games have nods to other entries in the series (a la Fire Emblem, Pokèmon, and Super Mario for example); but, It was confirmed in a recent interview that placing Majora’s Mask was a special request Aonuma’s Development team. So why would they specifically request an Easter Egg such as that? That answer is because it’s Aonuma’s answer to wether or not Majora’s Mask is going to be remade. With this being nodded to, All we got to do now is to wait for Nintendo to confirm the game in an upcoming Nintendo Direct. I don’t know when one of the next ones is (because Nintendo is like a thief in the night about them); but, I wouldn’t doubt it we’ll see the announcement of the game in a not so distant future.